Put together a bunch of writers, illustrators, folk singers, storytellers, theatre people and more such. Plonk them in the middle of a nature park. Drive in hordes of excited kids and happy parents. Add in the lovely Kitab Khana bookstore. Tie it together with scrumptious food and kulfis of every imaginable flavour on site (the strawberry flavour was rather lipsmacking). And you are sure to have one fun festival. 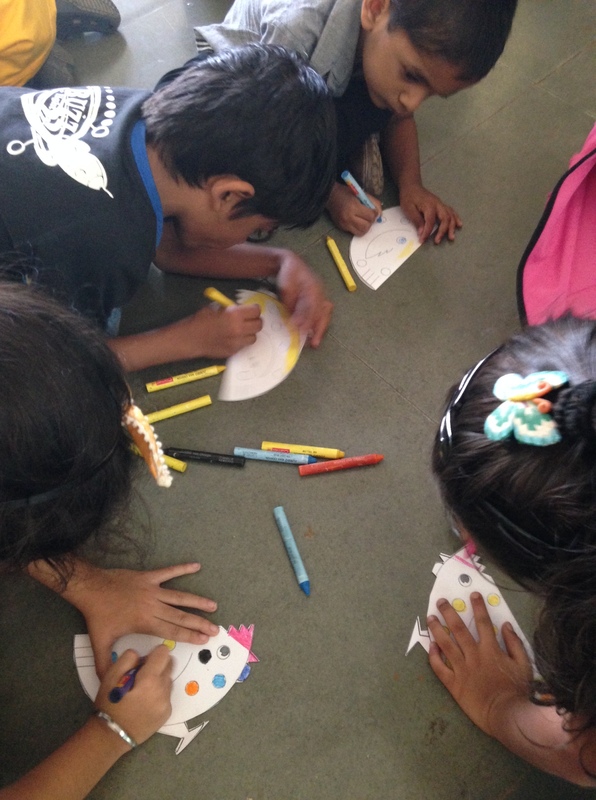 The Junior Writers Bug festival held this weekend at the Maharashtra Nature Park turned out to be one such delight. 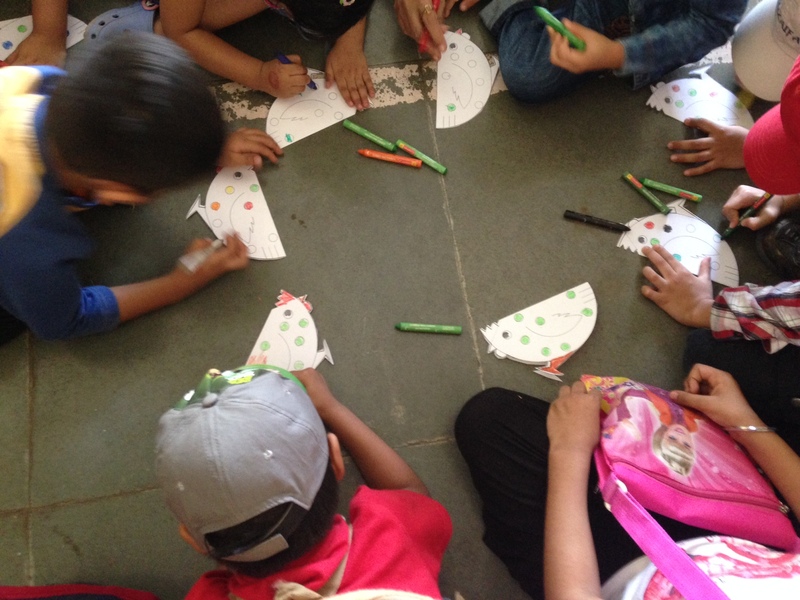 Tanvi Bhat, one of the illustrators of the just-gone-to-press History Mystery series with Duckbill conducted a session on making monsters that was high on our list. She had a full house with a whole bunch of kids and scary plates full of ink to make splotches. There certainly were adorable monsters on their papers, but a whole lot of inky monsters walked out of that session! 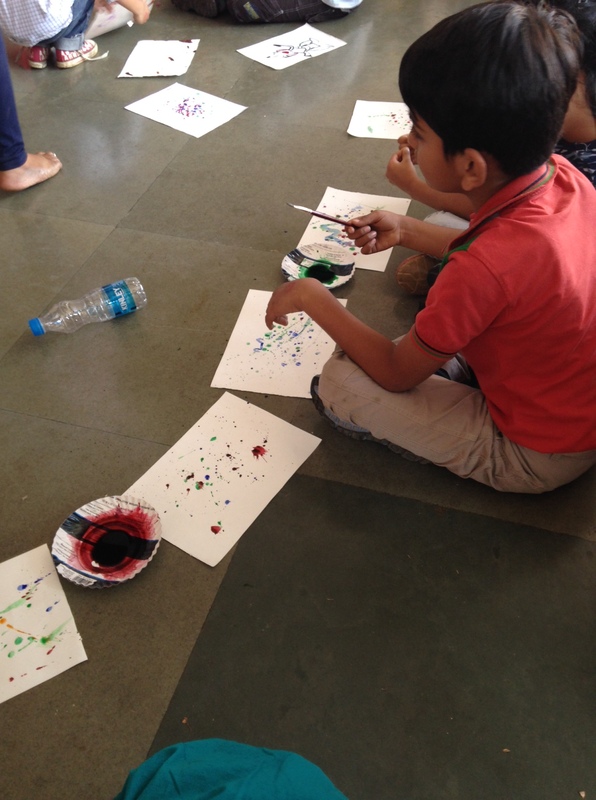 Ink, splotches and monsters with Tanvi Bhat! Time to go Bonkers! was up next and a room full of children and parents looked incredulous as we counted the number of animals I had in my home, growing up. Our current dog Obi Singh was a mega hit with his video of insane antics. I had to play it twice over on popular demand. Deepti was at the session and I was able to hand her the marker to take the kids through a step-by-step drawing of Bonkers. Got some drawing tips along the way and Bonkers in my next session shall definitely be more proportionate! Other corners resounded out as we walked around and while there were other sessions I wanted to attend, many overlapped and we had to make difficult choices. But that’s the joy of lit fests – the sheer variety, energy and boundless excitement. Oh! I did wonder why a lot of people were walking out with a bag full of books and bunches of raddish and carrots sticking out of another bag. Was this a new fangled book promotion? Had anyone released a book on healthy eating? Thankfully, not all is lost in attempts to get people to buy a book and it turned out that a Farmers market with lovely organic vegetables happened to be on at the same time, in the same venue. Healthy stuff for mind and body, all in one! Wouldn’t it be wonderful if more people bought books like they buy veggies – as often and in such copious quantities?